Is a UAV on your, or your child’s Christmas list? Christmas is coming up, and UAV sales are projected to break previous records. The Drone Pilot Zone has a great article that breaks down the safety factors of UAVs, and gives you a list of drones in 4 different classes, from safest (most user friendly) to most dangerous and should be looked at by people that understand how to operate UAVs safely, because these can potentially cause major harm. I’d highly recommend checking this article out if you are shopping for a UAV for the holidays. 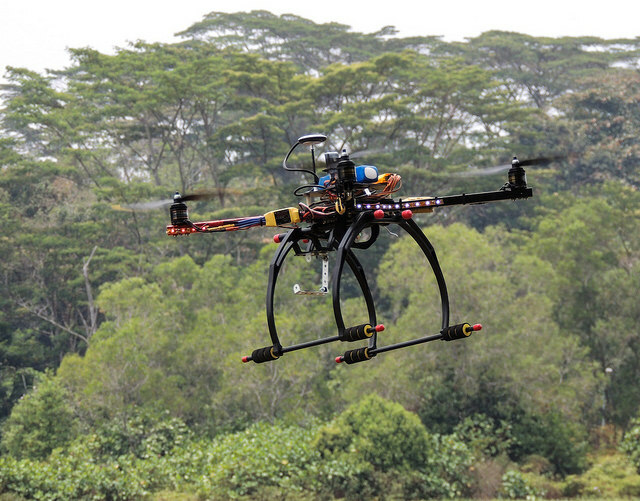 Mandatory registration for all UAVs and RC aircraft? Yesterday, the US Department of Transportation held a press conference outlining new rules that they and the FAA want to implement. These rules would make it so that all UAVs (Hobby and commercial) as well as other hobby aircraft will need to be registered with the FAA. There are a lot of questions with this, and the obvious is about hobby use. Right now, hobbiests do not need to register their aircraft. The process to register an aircraft is very time consuming, and involves many carbon copies… yes, in 2015 they still do not have an electronic means of document submission. 8 Questions Raised by the USDOTs Decision to Register Every Drone in the US also from Aeriographer.com. What’s your objective opinion about the Department of Transportation’s announcement that they are forming a task force to essentially create a UAS registration process? from Droneu.com. The Problems with Mandatory Drone Registration by Jonathan Rupprecht on jrupprechtlaw.com. AMA JOINS DOT TASK FORCE ON UAS REGISTRATION from the AMA Website. They say that they are going to work on having differing rules for small hobby and toy drones. U.S. To Require Registration Of All Drones; Hobbyists May Pose Legal Conundrum by John Goglia on Forbes.com. This is a really good read. Here is a pretty cool video from GARETH MAUDE. He was flying his UAV when police officers asked if he had seen someone on a Motorbike. For the rest of the story, head over to the video. When can you shoot down a Drone? When is it legal to shoot down a UAV? After reading this article you can find out the answer. It does turn out, there is a time that it is legal. Have a read to find out when it is legal, and how to avoid that occuring to your UAV. Can you spy with a consumer drone? Here is a really good video showing what is and is not possible with a UAV. The Drone Dude has put together this video showing what a UAV sees at a short range, then out to 150′. He then switches over to a camera with a zoom lens showing how it is very unlikely someone would use a UAV to spy on you, since a camera with a zoom lens is far superior. This video also shows how audible the UAVs are. Finally, he goes on to show what it looks like outside, from long range down to 20′. This again shows that at 100′ you can’t see much, and it is very noticeable from sound. As a photographer, I have known these facts for quite a while, and when I see people say the UAV is spying, I shake my head. It is just not possible, or probable. Especially when a simple camera is all that is needed. This video will hopefully dispel some of the paranoia around what a UAV can see.